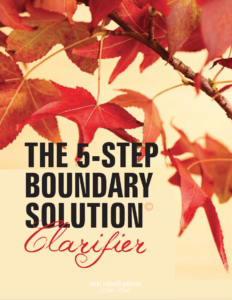 Step 3 of the 7-step Taming Triggers Solution process — Identify Toxic Thoughts — helps you discover if there are hidden thoughts that are making your triggers more distressing than they need to be. When you feel triggered, you may not notice your thoughts, especially if the trigger is severe. You will likely be more aware of the physical sensations that often accompany triggers — rapid heart rate, feelings of anxiety or panic, or a desire to fight or flee. If you’re not aware of the thoughts that go along with your triggers — especially toxic thoughts — your triggers will be more distressing than they might be otherwise. When it comes to triggers, there are two types of toxic thoughts that are particularly harmful for partners. The first are thoughts about yourself, and the second are thoughts about others. You may feel triggered each time you drive past a sexually oriented business on your way to work. When you do, you may think: If I looked like the women who work there, my partner wouldn’t have been unfaithful. This is a toxic thought about you. It’s toxic because 1) it’s simply not true, and 2) when you have this thought you will feel a host of unnecessary emotions including pain, fear, and shame. On the other hand, you may have toxic thoughts about others. Using the same example above about driving past a sexually oriented business, you may think: The women who work there don’t deserve to live. This is a toxic thought about others. It’s toxic because 1) it displaces responsibility for the betrayal you’ve experienced on someone other than the addict (or person who betrayed you), and 2) it objectifies and dehumanizes another person. Now that you understand toxic thoughts, go back to your list of triggers (Step 1) and see if there are any toxic thoughts related to any of your triggers. Partners often discover that they have many toxic thoughts — mostly about themselves — when they take the time to reflect on what happens to them when they feel triggered. Once you’ve identified the toxic thoughts related to your triggers, it’s time to turn them into a healing truth. A healing truth is a statement that sets the record straight. It’s affirming, supportive, and one that honors you and others. Healing truths also place accountability where it belongs — on the person responsible for the betrayal. “If I looked like her, he wouldn’t have been unfaithful”. Now take some time to create a Healing Truth for each Toxic Thought you identified.